The Friends of the AGNS Western Branch are excited about the upcoming 2015 series of Creative Minds.Michael Tavares lead the first session at the gallery on January 25. Tavares has spent the past 30 years as an Adaptive Reuse Restoration Artist with a particular focus on repurposing historic buildings for current uses without compromising the historic fabric and architectural design of the buildings. 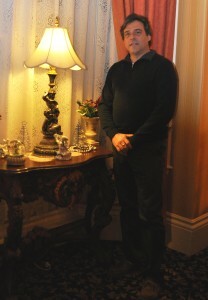 He’s worked on many different architectural styles and periods and, to date, has over 30 restoration/repurpose projects in his portfolio—including the MacKinnon Cann Inn, at 27 Willow Street in Yarmouth. 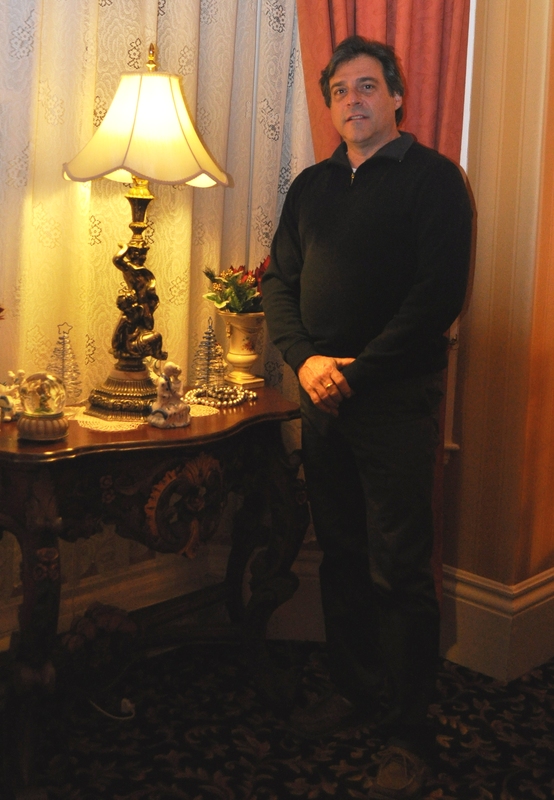 He spoke about the history of slate fireplace mantles and the art of restoring the faux finishes. He also talked about crown molded plaster ceilings, how they are made, their original purpose and how to restore them. People also viewed photos of creations he refers to as “Unintentional Art”. Creative Minds is a free program, open to everyone, and proudly sponsored by Coastal Financial Credit Union.